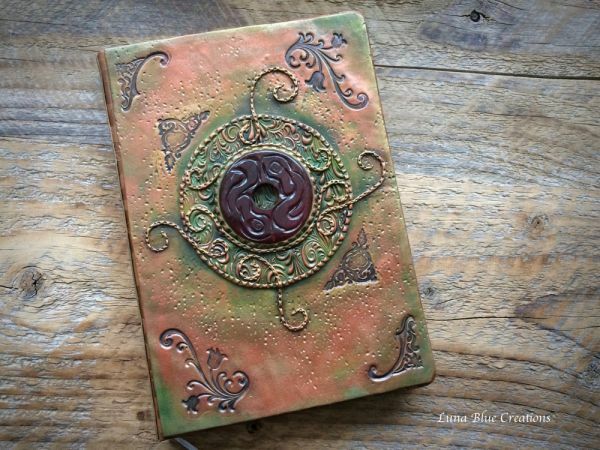 Polymer Clay Covered Journal with Carved Red Jade Medallion. 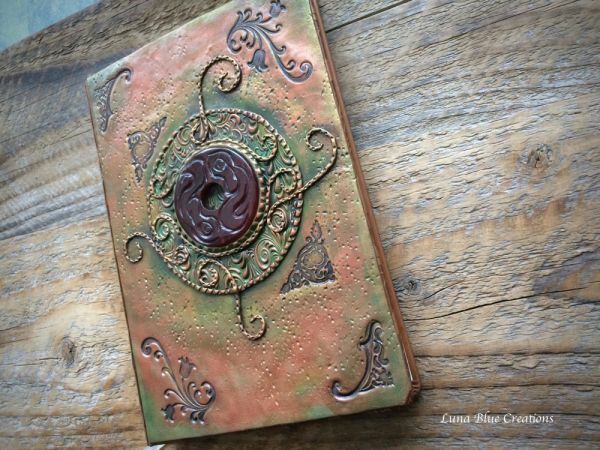 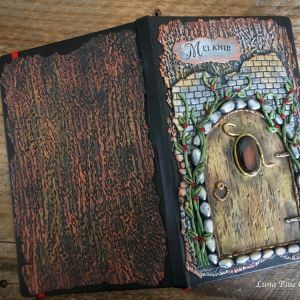 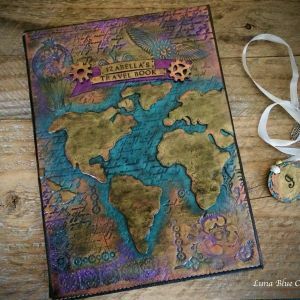 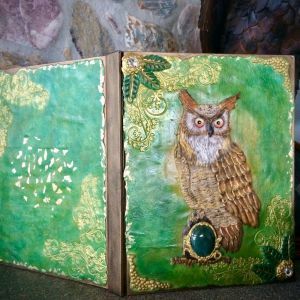 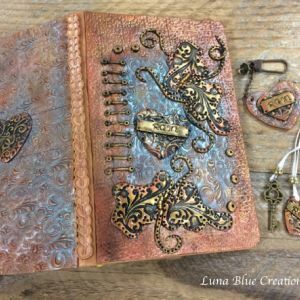 Leave a note for name when purchasing this journal. 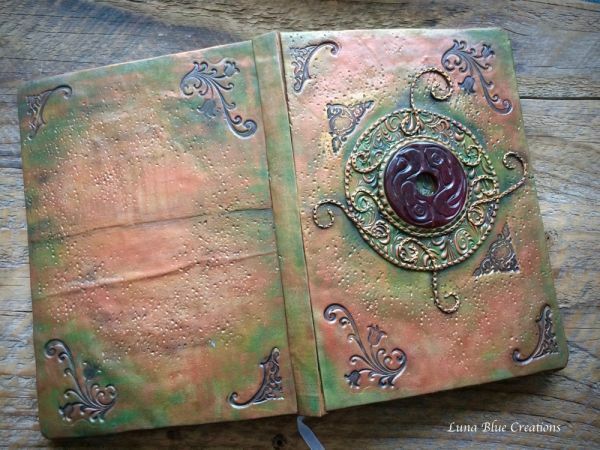 This journal is available and ready for shipment. 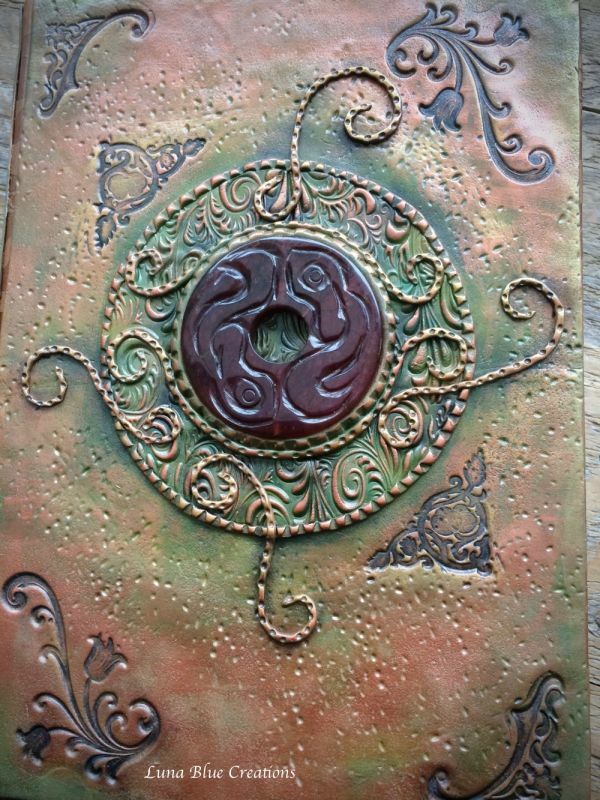 Red Jade is a stone of physical vitality, passion, and strength, and it will effectively stimulate your life force energies. This hardbound journal is 8.5 x 5.5 inches, 192 lined pages with pocket at the back for important stuff.